Are you in search of a meal delivery service that’ll allow you to cook up delicious meals in no time at all? Do you want to make sure you’re consuming only the freshest ingredients and the finest meats? If so, you’ll want to check out Terra’s Kitchen. 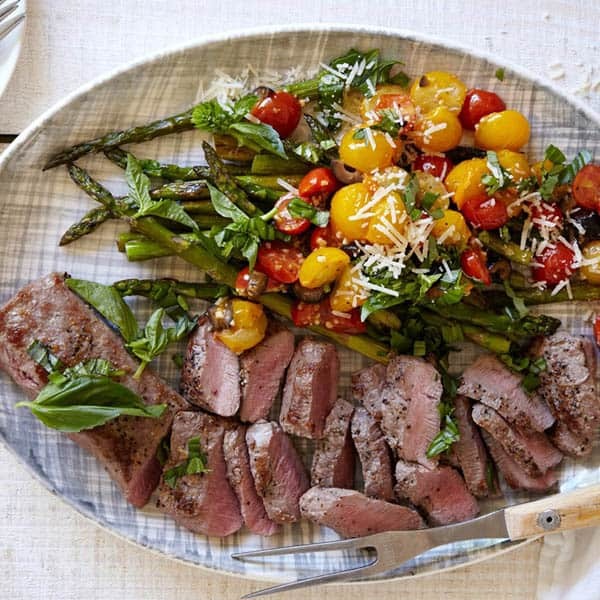 Based upon the Mediterranean diet, Terra’s Kitchen has crafted a variety of tasty meals that will only take you 15-30 minutes to prepare in your own kitchen. While you will have to spend some time at the stove, they’ve done most of the hard work for you. They’ve eliminated the need for meal planning, grocery shopping, and ingredient prep. They’ll send you detailed recipe cards and pre-portioned ingredients so you can prepare something great every night. Want to learn more? In this post, we’re sharing what kinds of food they offer and telling you how to order your very first box! To join and place you first order with Terra’s Kitchen, you’ll begin by entering your email address and your zip code. Entering your zip code allows them to ensure you’re in their delivery area and will be needed later on to choose your delivery options. The next step is to choose how many people you’ll need to serve. You can choose between three dinners for two people, four dinners for two people, or two dinners for four people. At the same time, you’ll also be able to select a vegetarian option for your meals. You’ll then be presented with a few different options for when you’d like to receive your first weekly delivery. After you’ve chosen your delivery date, you can let the fun begin! They’ll give you a variety of options of meals and add-on items that you can include in your order. Meals will be auto-populated based on your personal preferences, but these can always be changed. If you still have remove in your vessel, you can add salads, smoothies, proteins, snacks, juices, and side dishes. Once your vessel has been filled, you’ll be able to move onto the checkout process. Next, you’ll just have to wait for your order to make its way to your doorstep. All of the recipes Terra’s Kitchen has created are based on the principles of the Mediterranean diet. They also provide customers with paleo, low-calorie, gluten-free, vegetarian, and vegan options so they’re able to customize their order to their specific dietary needs. Having those options makes it even easier to enjoy a food box while sticking to your diet. 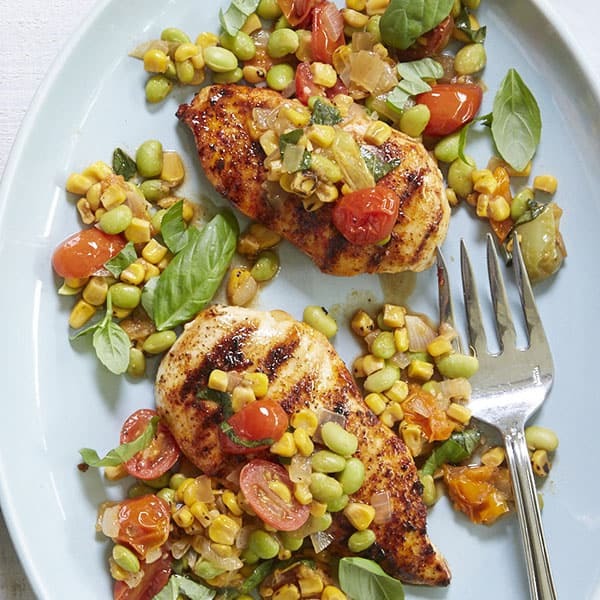 They provide a wide array of recipes so there’s something for everyone on their menu. 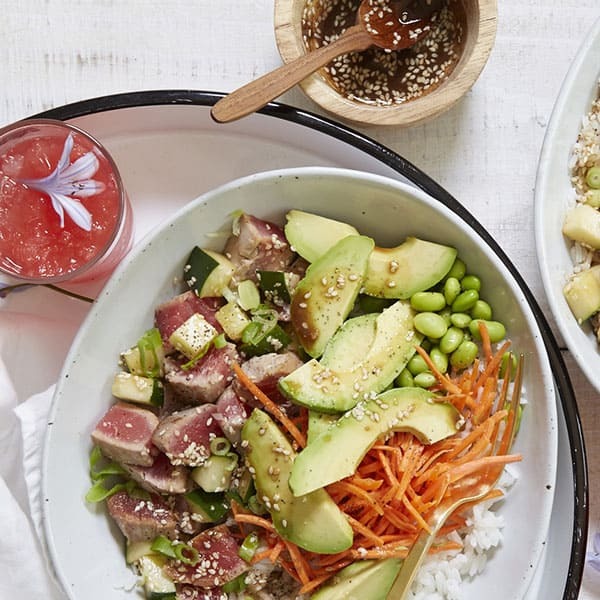 You’ll find a nice selection of salads, which includes: Grilled Salmon With Watermelon-Sugar Snap Pea Salad, Black and Blue Steak Salad, a Spicy Quinoa Salad Bowl, and a Grilled Tuna Nicoise Salad. There are plenty of other tasty options on their menu, such as: Mexican Skillet Shrimp Chilaquiles, Honey-Balsamic Glazed Pork with Strawberry-Cucumber Salad, Cajun Lemony Shrimp and Red Rice, Grilled Chicken Tacos with Avocado Goat Cheese Sauce, and Turkey Spinach Meatballs in Skinny Sunday Gravy. There’s even a Bison-Vegetable Step for those days you crave something warm and hearty. If you’re a smoothie lover, you’ll appreciate the selection they have available. You’ll find a Mint Chocolate Smoothie, a Caribbean Kale Smoothie, an Apple a Day Smoothie, and a Creamy Chocolate Shake Smoothie. For other drink options, you can order juices from the popular brand, Suja. You’ll also find a selection of fresh fruit you can add to any order, which eliminates the need for you to go the grocery store and pick it up yourself. They’ve really got you covered when it comes to preparing you daily menu, so you never have to worry about going hungry! When viewing their available menu, you can easily filter meals based on your dietary restrictions. This makes it simple to see which meals are safe to eat if you have a food allergy or if you choose not to consume animal products. You can even sort the menu based on protein if you’re looking for a particular type of dish. They provide dishes that include chicken, beef, fish, ground turkey, lamb, bison, shrimp, and pork. If you’re interested in placing an order with Terra’s Kitchen, you’ll have to head over to their website and input your zip code to see if they deliver to your area. If they do, you’ll be able to place your order! Do keep in mind that you’ll have to put in a residential address for delivery, as meal delivery services cannot ship to PO boxes. When placing your order, you will be presented with available delivery options that are based on your location. Your food should arrive between 8 AM and 9 PM on your scheduled delivery day and will be dropped off by FedEx. No signature is required for them to leave your package, which means you don’t have to be home at the time of delivery. The packaging Terra’s Kitchen uses is designed to keep food cold and fresh for several hours after the delivery time. Terra’s Kitchen says shipping is always free when ordering with them, however they do require a minimum order charge of $62.99. You’ll want to keep this in mind when placing you order to avoid additional shipping charges, which can be costly. If you need to skip at a week at any time, you are able to do so easily via your account. You can actually skip up to four weeks in advance of the current week. If you ever need to “unskip” a week, you can do that as well. Any changes to delivery will have to be made prior to the weekly alert email that gets sent out. The packaging your order comes in is going to be pretty different from any other meal delivery service you may have used in the past. Instead of shipping food in an insulated cardboard box, they use an eco-friendly, reusable vessel and cold sources to keep your food fresh during transportation. This vessel is said to be a more cost effective way to handle the shipping process because it’s reusable. However, there is one catch! You have to send this vessel back to Terra’s Kitchen, otherwise they’ll be forced to charge you for it. Luckily, they have made returning the vessel very simple. Once you’ve received your delivery, you’ll need to unpack all of the food inside the vessel. Then, you’ll remove the shipping label that came on the vessel, which will reveal a return label underneath. All you have to do is place the vessel outside where FedEx left it and they’ll return to pick it up for you. They’ll pick it up either the next business day, the day after it was delivered, or on the day of your next delivery. You can check your delivery email or packing slip for your personal pick-up schedule. There’s a complete guide on their website that walks you through each of these steps. Once Terra’s kitchen has used the vessel up, it’s then recycled. The green drawers inside and the corrugated material outside are all able to be broken down and recycled to eliminate waste. Since the vessel and cold sources will be returned to Terra’s Kitchen, you might be wondering what to do with the plastic food containers that remain. These can actually be recycled, which they encourage you to do. Most meal delivery services are committed to providing their customers with only the highest quality of food and Terra’s Kitchen is no exception. The chicken they use is free-range, non-GMO, and Air Chilled. This means they have used Air Chilled technology, which helps inhibit the spread of bacteria. This process actually saves 30,000 gallons of chlorinated water every single day. For beef, Terra’s Kitchen chooses to use only organic, grass-fed beef that has been born and raised to USDA National Organic Standards. No GMOs, steroids, added hormones, antibiotics, or pesticides are used. The cattle the beef comes is allowed to roam freely on organic field and organic grass. Then, the beef is hand-trimmed, portioned, and vacuum-packed at a USDA-certified facility. You can also feel confident in the produce you receive as well. Everything is grower sourced to meet their high standards so they can deliver only the best to their customers. You never have to wonder where the ingredients came from or worry about whether or not the food you’re consuming is actually safe. As mentioned above, everything is kept fresh thanks to the vessel Terra’s Kitchen uses to ship every single one of their orders. 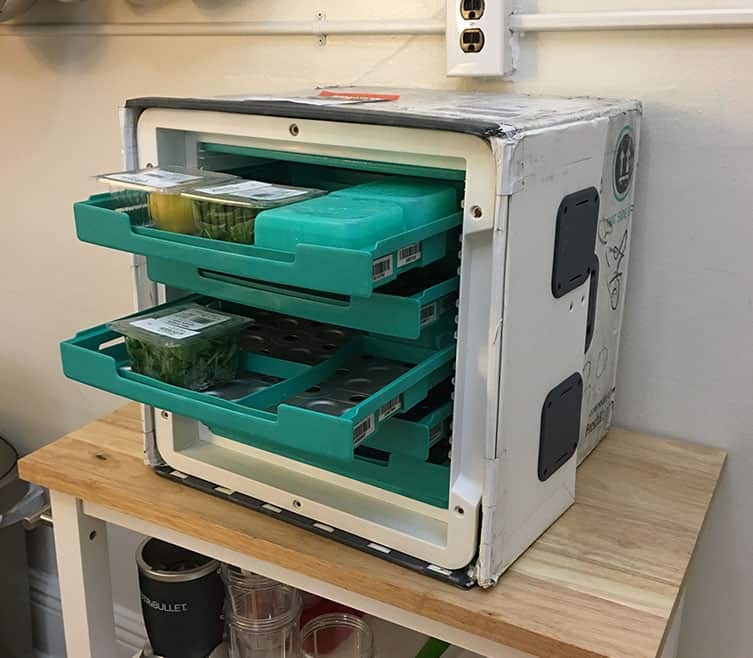 This vessel is designed to keep food cold for hours after delivery. However, you’ll still want to unpack it and put everything into the refrigerator as soon as you get home. Terra’s Kitchen does recommend cooking fish, seafood, and poultry meals first to maintain optimal flavor. If there are any proteins you don’t plan to cook for a few days, they can be stored in the freezer. Before you choose which meals you’d like to order, you do have the ability to view the recipe card for each dish. 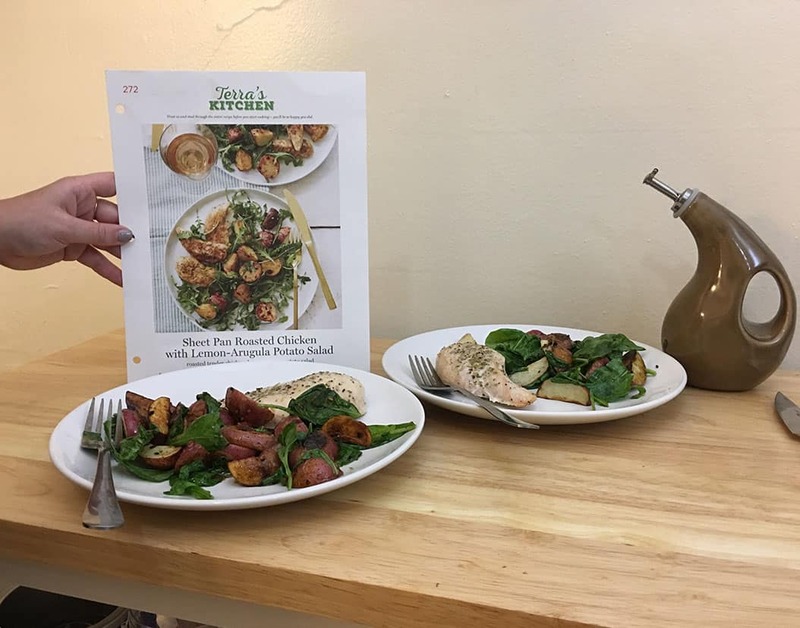 The recipe card includes step-by-step instructions on how to prepare the dish, plus photos that walk you through the process. They’ve made it truly easy to whip up a delicious dish, so even beginners can feel confident in the kitchen. On the recipe cards, you’ll also find a list of equipment you’ll need to make the dish (measuring spoons, skillet, etc. ), the ingredients Terra’s Kitchen will send with your order, and any additional items you need to have in your kitchen. This could include basic kitchen staples like olive oil, salt, and pepper. With detailed instructions and a list of everything you’ll need to bring the recipes to life, cooking couldn’t be any easier. What’s great is that all of these dishes are simple and should require only 15 to 30 minutes to prepare. It won’t take long to put a delicious and healthy dinner on the table, which means there’s no reason to settle for fast food. With quality ingredients being used in each recipe, it should come as no surprise that every dish will be flavorful and delicious. Not only that, but they’re perfect for anyone who wants to step outside their comfort zone by trying dishes they probably haven’t had before. You won’t have to worry about getting stuck in a flavor rut with Terra’s Kitchen! The Turkey Taco Bowl was easy to prepare and made for the perfect weeknight dish. It contained ground turkey that was tender and fresh, pico de gallo, rice, beans, and crispy tortilla strips. 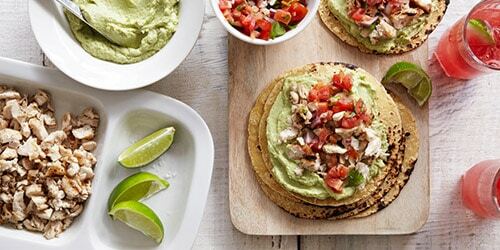 Instead of heading out to a chain restaurant for a burrito bowl, you can quickly whip one up at home that’s sure to be even better. For the pasta lovers out there, you’ll enjoy the Seared Chicken with Creamy Avocado Basil Pasta. Instead of going for the classic marinara sauce, you get to switch it up with a green, avocado and basil sauce. It’s a more sophisticated spin on your favorite comfort dish, while still being incredibly delicious. And of course, we had to give their smoothies a go. Our favorite ones included the Creamy Chocolate Shake Smoothie (perfect for chocolate cravings) and the Apple a Day Smoothie. Both are packed with healthy ingredients, but you will have to purchase protein powders separately. Your final cost will ultimately depend on what you choose to order. You can choose to order their one-serving Grab-n-Go items, which typically range from $3.99 to $9.99. If you opt to sign up for a meal plan that serves two people, it’ll cost between $9.99 and $17.99 per serving. For four-serving meals, you’re looking at $9.99 to $11.99 per serving. As mentioned above, shipping is always free with a minimum order of $62.99. Terra’s Kitchen is certainly a great option for anyone who wants to try a meal delivery service that allows them to cook meals themselves. With their creative and nutritious dishes, you can feel good knowing that you’re nourishing your body with everything you eat. Not only that, but you’ll never be stuck in a food rut eating the same dinners over and over again. Another thing that makes Terra’s Kitchen so special is that they give you the ability to order salads, side dishes, snacks, smoothies, and juices. The options really are endless and you’ll be able to customize each box to your specific needs. Terra's Kitchen has one of the most innovative packaging designs in the meal delivery industry. The entire container it reused over 100 times before it's fully recycled. Their meals are based on the Mediterranean Diet, making them healthy and tasty too.